Bridges do not only spur progress and development, they also serve as a link to the past, since many of them were built by the Spanish friars and conquistadores. They bear witness not only to the engineering and design prowess of those times, but also to the nuances of the Iberian culture and style. In celebration of Filipino Heritage Month, there will be a photo exhibit of Spanish colonial bridges in the Activity Center of SM Mall of Asia on May 7, 2010 (Friday) at 7 p.m. The exhibit also features the brilliant Philippine Youth Symphonic Band who will perform a medley of the best-loved local folk songs and foreign film tunes. Before it became Jones Bridge during the American occupation, it was called Puente de Espana. 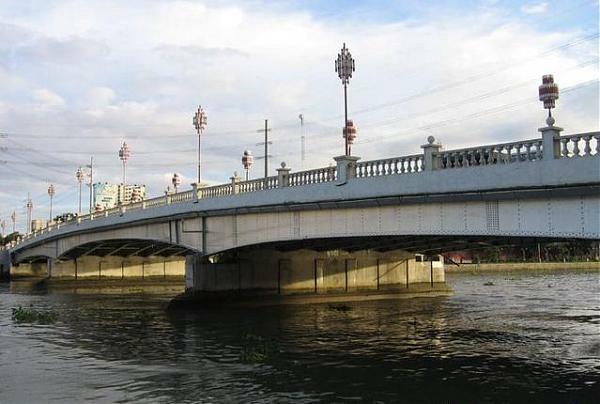 In the heart of the city, it was built across the Pasig River to accommodate that era’s major pedestrian and vehicular traffic. The Puente del Fuerza Santiago was believed to have been built to help secure the walls of Intramuros. Made of cut adobe masonry and granite, it spans 23 meters long by 3.4 meters wide. The Acueducto de San Juan del Monte in San Juan is where the Philippine-American war is reported to have broken out. In practical terms, however, it was an aqueduct supplying clean water to Manila from the Estero de San Mateo. The majestic Puente de Paoay in Ilocos Norte complements the historic ambience of the town. Walls, scroll works and archways’, designs of the bridge evoke an appreciation of civil engineering during the Spanish colonial period. Puente Dampol in Dupax del Sur accessed towns through the difficult Nueva Vizcaya terrain. Built by Fray Francisco Rocamora OP in 1818, the bridge has imprints of sawali matting in its underbelly used to set the wet plaster, which was the principle material used for the bridge. There are six Spanish colonial period bridges still in use in Dimiao town in Bohol. The most resilient of these is Puente de Calle Mabini, which has withstood the test of time. Despite efforts at modernization through the years, the bridge remains intact in its original state. Spearheaded by Executive Director Ana Maria Harper, President Armita Rufino, and Finance Officer Araceli Salas, the Filipino Heritage Festival is supported by the National Commission for Culture and the Arts, the Department of Tourism and ClicktheCity.com. For more information, visit the FHF website at hwww.heritagemonth.ph, or call their office at (632) 892-5865.